I have entered Guitar Idol 2018 with my song Into Orbit! Make sure to vote for me there and watch the video here, so I will have a chance to make it to the finals! 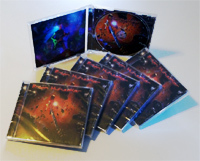 Across the Galaxy now available through CDBaby, Amazon, iTunes, Zune, Nightmare Records, Google Play, Last.fm & Spotify ! My band Triaxe was selected to perform at the Guitars Under The Stars festival in Lebanon, Oregon on August 8-10, 2014! It's a guitar festival also featuring Gary Hoey, Tony Macalpine, Jennifer Batten, Bruce Bouilet and many more crazy amazing players! The show was awesome! 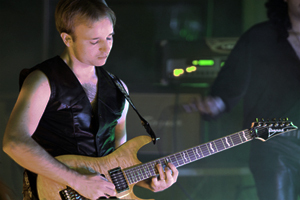 My instrumental band Triaxe was featured on the TV Station KCTS9's PIE program! It aired 10/17/2013 and here is the link to watch our segment! The staff was very professional and super nice! Thank you so much KCTS9! Check out the new live video of Farewell to the King on the Media page! My band Triaxe has about 9 more live videos coming very soon, they are finalizing editing now! We are gearing up ready for a busy gigging season! ©2018 Brian Hunsaker. All rights reserved.